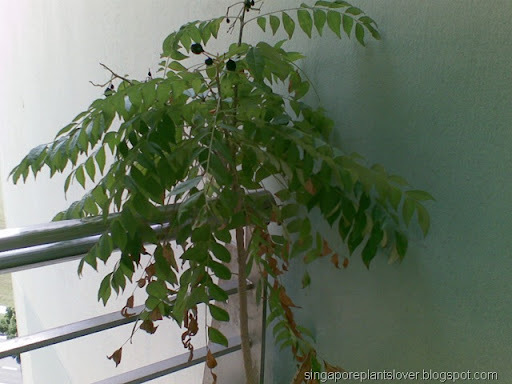 Singapore Plants Lover: What's wrong with my curry leaf tree? What's wrong with my curry leaf tree? The fruits are almost gone now, the leaves are brown and dropping. What's wrong with my curry leaf tree?